Dennis P. Ogden | Attorneys | Brick Gentry, P.C. "Responding promptly and effectively to a client's needs is my highest priority. A lawyer who listens carefully and really understands the client is best able to tell their story at trial." A well-respected trial lawyer, Dennis P. Ogden is a shareholder with over 32 years experience representing businesses, large and small, and individuals in federal and state courts, and administrative tribunals throughout the state of Iowa. Dennis' civil trial practice is diverse but emphasizes defense of personal injury lawsuits, employment cases and property tax cases. As a founding member of the Trucking Industry Defense Association (TIDA), Dennis has devoted many years to defense of trucking companies, truck drivers and transportation litigation. 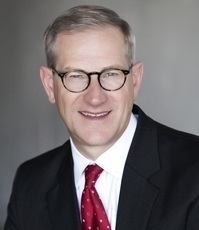 Currently Dennis is president of Lincoln Inne, and serves the Iowa State Bar Association both as chair of the eCommerce Section and as a member of the Bench Bar Committee. A frequent speaker on litigation, employment law and property tax law, he also has enjoyed serving the Greater Des Moines community in various volunteer activities since 1982. Currently he serves on the Boards of Directors of both the Des Moines Playhouse, and the Association of Business and Industry Tax Committee. In addition to his trial work, Dennis has extensive experience advising businesses and individuals in employment discrimination and contract matters. He has represented both businesses and individuals in nearly every county in Iowa on reducing tax assessments on real property. During the 2013 Iowa Legislative session, he worked closely with the Iowa State Bar Association to craft legislation that preserved the Iowa Property Assessment Appeal Board as a low-cost alternative for Iowa taxpayers to challenge excessive assessments.